Finding the best food for Rottweiler dogs is such an important part of your Rottie dog’s care, health and overall wellbeing! 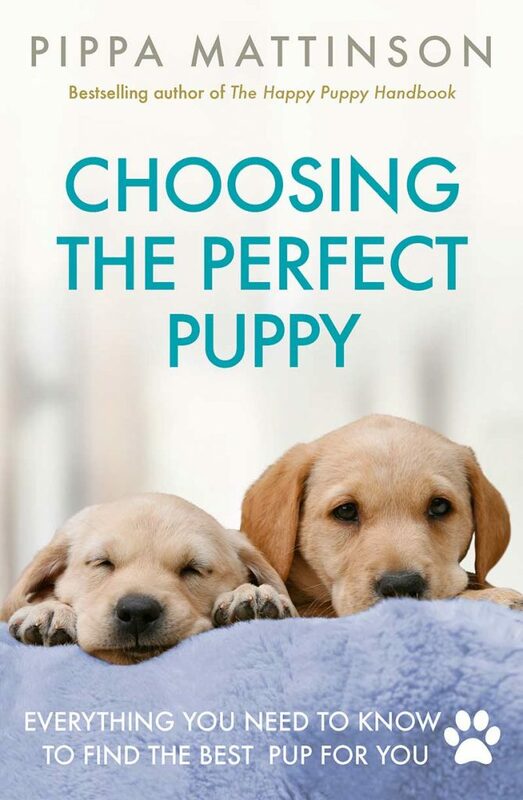 When you feed your pup a nutritionally balanced, whole and complete Rottweiler dog food recipe, you can feel confident that your dog is getting what she needs to grow up healthy and strong. And stay that way! Figuring out which is the best dog food for Rottweilers can also change based on your Rottie’s age, activity level and stage of life. In this article, learn about some of the best Rottweiler food adult dogs and senior Rottweilers. We’ve also got specialist diets for Rotties with allergies or sensitive tummies. 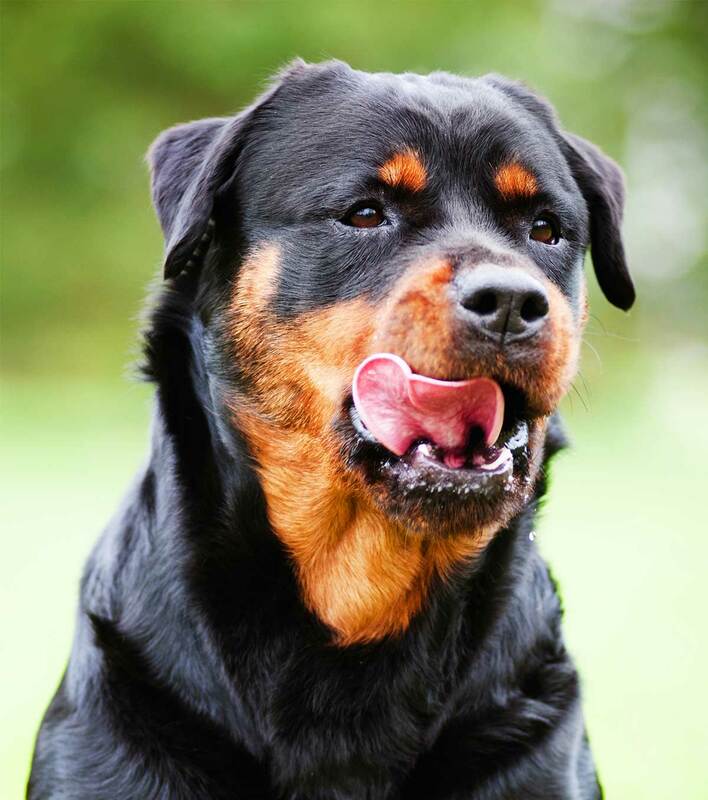 If your Rottweiler is still a puppy, you can find delicious and age-appropriate meals in our guide to the best Rottweiler puppy foods. The best food for Rottweiler dogs is always going to be a food that is nutritionally whole, complete and balanced. 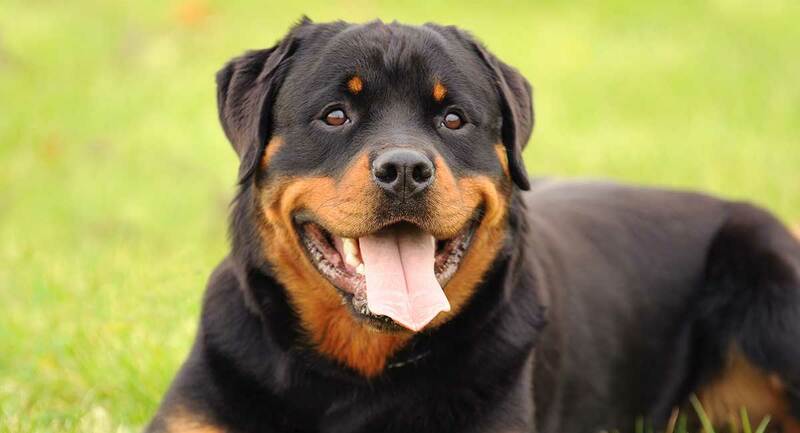 What this means is that the food contains the full complement of vitamins, minerals and nutrients that your Rottie requires at each stage of life. Just like your doctor may recommend different vitamins, supplements or foods for you at different times in your life, so too may your Rottie’s dietary needs change as the years pass. However, as long as you are feeding a complete and balanced dog food that your veterinarian approves of, you shouldn’t add in any extra vitamins or minerals. Consult your vet before adding supplements to your dogs diet. Did you know Rottweilers keep growing until they are around two years old? Because of their large size, Rottweilers can be particularly prone to skeletal, bone and joint issues. Choose large breed dog food formula to ensure your Rottie is eating a diet that promotes slow, steady growth. In particular, you will want to pay attention to the calcium to phosphorus ratio (often abbreviated as Ca:P) in any large breed food you choose. According to veterinarians, the optimal ratio is from 1:1 to 1:3. Or you can aim for 3 grams/1000 kg of calcium (1.5 percent). Another ingredient frequently added to dog food to support healthy joints is glucosamine. Glucosamine has been shown to improve the symptoms of osteoarthritis in dogs in clinical trials. Rottweilers, like many working dog breeds, have a thick double-layer coat. With such a thick, heavy coat, dirt, debris, pests and moisture can easily get trapped next to the skin, causing abrasion, irritation and infection. Wet eczema is a particular health concern for Rotties. Just one small abrasion, bite or sting can quickly spread and cause a great deal of discomfort to your dog! A good dog food for Rottweiler dogs will provide vitamins, minerals, antioxidants and essential fatty acids. These support skin health and a strong immune system to fight off infection. Rottweilers can be genetically predisposed to certain cardiac health issues. Often these are present from birth. Of particular concern is a condition called aortic stenosis, which puts extra pressure on the heart as it pumps. Maintaining a healthy weight is an important part of managing heart conditions like these. Carrying extra weight puts additional strain on the heart which doubles the problem. Your choice of Rottie food can help to support your dog’s overall heart and cardiovascular health. Look for foods packed with quality ingredients, and not bulked out with calorific but nutritionally empty fillers. And pay close attention to portion size! When in doubt, the best dog food brand for Rottweilers is always one that your veterinarian recommends. Asking your dog’s vet can also make your job easier as you survey the wide variety of Rottweiler dog food and try to make your final choice! Each of these brands are vet recommended dog food for Rottweilers. Some are formulated by veterinarians and others are frequently sold in veterinarian clinics. You will probably recognize the brand names! Hill’s Science Diet are one of the dog food titans, sold in vet clinics and pet stores across the country. This food specifically tailored for large dog breeds is made in the USA and is packed with glucosamine and chondroitin for joint health. There’s also amino acids for brain and vision and vitamins C and E for immune system health. This veterinarian-recommended adult dog food is rich in prebiotics and probiotics, glucosamine and chondroitin, vitamins and minerals to support healthy whole dog function. The entire line of Purina dog foods is co-created with the help of scientists, nutritionists, behaviorists and veterinarians. This large breed food recipe has five different focal points: Savor, Focus, Sport, Bright Mind and Natural to meet your pup’s specific nutritional and life stage needs. Your adult Rottie will likely be an active pup indeed, burning plenty of energy playing, running and jumping and presenting a healthy appetite at mealtimes! These dry dog food recipes are all created with the needs of active large breed dogs like Rottweilers in mind. 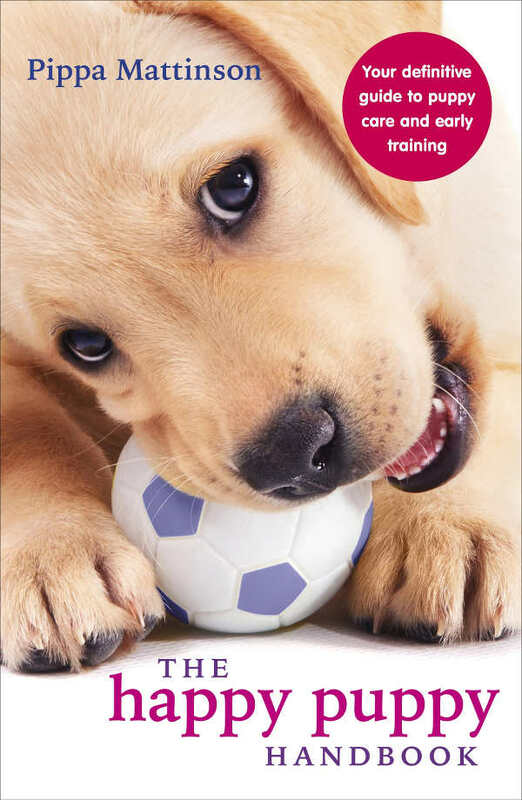 Royal Canin is another leading manufacturer of foods for specific dog breeds. This dog food has a special oblong kibble, shaped to help encourage your Rottie to chew and not gulp dinner. This food also contains extra DHA, EPA and taurine for heart health and extra nutrients to support healthy bones and joints. Eukanuba has joined the growing list of dog food manufacturers who are formulating foods for specific dog breeds. This food has DENTADEFENSE to reduce tartar buildup and L-carnitine to help burn fat and build muscle. Perhaps most importantly, this food has extra calcium for strong healthy bones and joints. Pedigree Rottweiler food can be another good choice for your larger pup. This food contains glucosamine and chondroitin for joint health, vitamin E for immune system strength and plenty of essential fatty acids for healthy eyes, skin and coat. It is also formulated with the proper calcium to phosphorus ratio for maintaining strong bones. As your Rottie approaches his golden years, he may start to slow down in his daily activity. This can spell trouble on the scale if you don’t adjust his daily calories accordingly! However, your pup will still likely be eager for mealtimes, and you will want to offer a food that can fill him up and be satisfying. 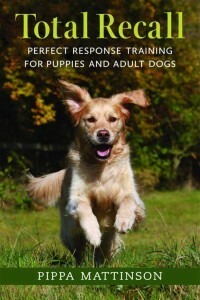 The best approach for this life stage is often to choose a food recipe prepared especially for senior large breed dogs. These are our favorite senior Rottweiler dog foods. 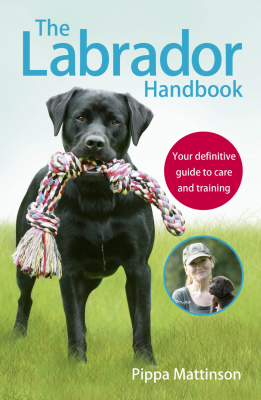 This natural recipe for senior large breed dogs features added glucosamine and chondroitin to support ageing joints. The recipe includes whole protein, brown rice and sweet potato for easier digestion and all ingredients are non-GMO. This all-natural senior recipe includes extra glucosamine and chondroitin, probiotics, antioxidants to fight against cancer and plenty of essential fatty acids to keep skin and coat healthy. This all-natural senior dog recipe includes glucosamine and chondroitin, essential fatty acids and all-natural ingredients to keep your senior Rottie looking good and feeling healthy. Rottweilers, like many purebred breeds, can be more sensitive to some of the ingredients in certain dog food recipes. Some suspected allergens include wheat, dairy, soy, corn, eggs, artificial preservatives or ingredients, fillers, and by-products. Talk with your dog’s vet about switching to one of these brands if you think your Rottie is developing food-related allergies. If your Rottie has suspected food allergies, one of the first diagnostic steps most vets take is to prescribe a limited ingredient diet. This natural food is specifically designed to minimize the likelihood your dog will encounter any ingredient that could trigger food allergies. This grain free food offers a focused menu of pure freeze-dried raw protein that is grain-free, gluten-free and enriched with fruit and vegetable superfoods for immune system health. This limited ingredient diet recipe is free from known allergens including wheat, gluten, grain, dairy, soy, eggs, and artificial ingredients. It is made from one protein and one vegetable with added vitamins and minerals for supporting immune system health. Rottweilers have this reputation as a big ferocious guard dog breed, but underneath all that fur they are actually quite sensitive! Rotties can have sensitive stomach issues for physical and emotional reasons. Feeding a sensitive stomach recipe dog food can often help to ease the discomfort your Rottweiler is experiencing. If your Rottweiler is struggling with sensitive stomach issues, you may want to consider this super-gentle human-grade dehydrated dog food. You can feed it on its own or blend it with your own stomach-soothing ingredients. This special sensitive stomach dog food recipe includes glucosamine, easy to digest salmon, antioxidants and nourishing fruits and vegetables to support overall health. For some dogs, sensitive stomach issues can be traced back to grains. This limited ingredient recipe features calming turkey and easily digestible potato and pumpkin. This recipe is free from grains, eggs, dairy, soy, corn, wheat, beef and artificial ingredients. For more information about feeding dogs with sensitive stomachs, including further wet food and dry food options, visit our guide the best dog foods for sensitive stomachs. We hope this handy Rottweiler food guide has helped you select the best Rottie food for your precious pup’s age and stage of life! Rottweilers are large, slow growing dogs. As young adults they still need suitable food to support steady growth, and as adults they need food with lots of protein to help maintain muscle mass. Their size can also put a strain on their joints. So look out for foods containing around 3g per 1kg calcium, and extra joint-protecting ingredients like glucosamine. If you suspect your Rottie has a health problem caused by their diet, or which could be fixed by a change of diet, always consult your vet before making big changes. Always change your dog’s diet gradually over a period of seven to ten days to prevent stomach upset. What’s your Rottweiler’s favorite dinner? Does your pup hold strong opinions on the best food for Rottweilers? Is their favorite meal one we’ve listed here, or something else? Please share your recommendations in the comments box below! Coates, K., et al, “Health,” The Rottweiler Club UK, 2018. Griego, N., “Official Breed Health Statement”, American Rottweiler Club, 2014. Calcagno, B., “Cost of Ownership,” DaVinci Rottweilers Kennel, 2013. Buzhardt, L., DVM, “Nutritional Requirements of Large and Giant Breed Puppies,” VCA Animal Hospital, 2017. Drake, M., DVM, CVA, “Dog Nutrition,” The Drake Center for Veterinary Care, 2018. Linder, D., DVM, MS, DACVN, “What Are These Numbers?” Nutrition Math 101, 2016. Oke, S., “Indications and contraindications for the use of orally administered joint health products in dogs and cats”, Journal of the American Veterinary Medical Association, 2009.